The zoologist’s argument begins by explaining a causal cycle that occurs among some animals in the Lake Champlain area. In that area, when the snowshoe hare population grows, the populations of its predators grow as well. This growth in predator population is correlated with the hares looking for food in areas that are more heavily forested. However, these areas contain less food, and so the hare population declines. When that occurs, the predator populations decline, the hare population subsequently increases, and the cycle starts over. Seeking an explanation for this simultaneous and universal repetition of the hare population cycle, the author turns to sunspot activity. Based on evidence that “the hare population cycle is well correlated with the regular cycle of sunspot activity,” the author concludes that sunspot activity “is probably a causal factor” of the hare population cycle as well. 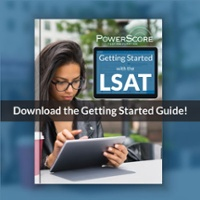 As often occurs on the LSAT, the zoologist reaches a flawed causal conclusion. Based on evidence of a mere correlation between sunspot activity and the hare population cycle, the zoologist infers there must be a causal relationship between the two. Even though this conclusion is more restrained than most, being limited to a probability of sunspot activity being a causal factor, rather than it certainly being the cause, it is still flawed. Only if the conclusion referred to a possibility of a causal relationship would the inference from correlation to causation without further support be valid. The question stem tells us that this is a Strengthen—Except question. Each of the four wrong answer choices will provide support for the causal conclusion, while the correct answer choice will either have no effect on the conclusion, or could weaken it. Do not try to prephrase precisely how each wrong answer choice will strengthen the conclusion. Simply move to the answer choices looking for information that ties sunspot activity to what the zoologist told us about the hare-predator population cycle. Answer choice (A): We know from the stimulus that when the predator population increases, the hare population decreases. This answer choice tells us that sunspot activity produces increased reproduction in predator populations, which would translate into decreased hare population. Answer choice (B): This is the correct answer choice, because it has no effect on the conclusion. The zoologist’s argument had to do with the population cycles of hares and their predators specifically. This answer choice does not identify which species can be affected by the local weather patterns, and we cannot assume that the affected species include hares and/or their predators. Notice that each of the other answer choices, each of which directly connects to the conclusion, explicitly references hares and/or predators, unlike this vague information. Answer choice (C): This choice strengthens the conclusion, because increased predator hunting effectiveness would further reduce the hare population, in line with the cycle described by the zoologist. Answer choice (D): By strengthening the evidence of correlation between sunspot activity and the hare population cycle, this answer choice strengthens, if only slightly, the conclusion. Answer choice (E): The zoologist explained that the hare population decreases when the hares search for food in the more heavily forested areas, because those areas contain less food. So, we know that food scarcity leads to a decrease in the hare population. If the sunspot activity decreases the nutritional value of vegetation eaten by the hares, it would be another factor in food scarcity, because the hares would need to eat more vegetation in order to gain the same nutritional value. I have a serious problem with your analysis of causal reasoning in several LR explanations I've come across in the past, and this question is a perfect example. The conclusion is not necessarily flawed just because it considers a causal relationship probable: a correlation between two independent variables absolutely can provide support for a causal relationship. Surely it doesn't prove it, but the author here never claimed that it does. When you state that "the zoologist infers there must be a causal relationship between the two," you're actually misstating the conclusion in the original argument, making it easier to challenge. No such inference is made. You should know better than to commit a straw man fallacy. You should also not treat every causal argument as inherently flawed. I feel like "causality" is PowerScore's bogeyman - every time you see it, you're immediately on high alert that the argument is flawed. This is both simplistic and misguided. Thanks for your feedback and analysis. Causality is absolutely a bogeyman because, absent adequate support, it is indeed inherently flawed. 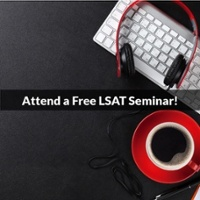 Post hoc fallacies are a crucial part of the LSAT, and their significance is only increasing. The "flaw" is the absence of sufficient evidence for an argument to be conclusively valid. A flaw does not inherently mean a conclusion must be false. The conclusion could be true. In this case, it could be possible for sunspots to be the cause of the bunny population shifts. However, the fact that we can contest the validity of this conclusion means that the argument is flawed. 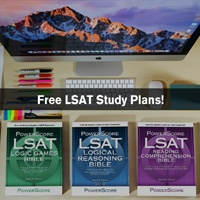 Please revisit the idea of a flaw on the LSAT. In general, the arguments on Logical Reasoning will not present situations in which the premises negate the conclusion (although these situations do occur). I do concur that the term "must" might better be substituted with the word "probably" in the explanation, but this semantic choice does not change the approach or analysis required to get this problem right. 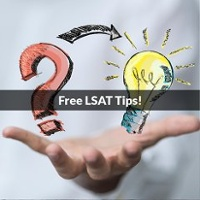 It is crucial that LSAT students master causal reasoning, and this question actually is a perfect example. Notice that it is a Strengthen-EXCEPT question. Implicit in this kind of question is the fact that there are at least four avenues of attack against the validity of the conclusion. Thus, this argument is not only flawed but seriously so and in multiple different ways. 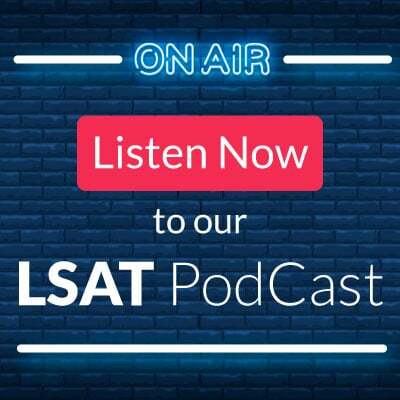 When you encounter causal reasoning on the LSAT, I encourage you to take particular note of it. In a considerable majority of cases, where causal reasoning is present, it is the very gist of the argument and is the locus at which you should focus your analysis. To recap, understand that "flawed" doesn't mean "cannot be true." It simply means "not necessarily true." This example, along with innumerable others, is an excellent example of an argument with a serious causal flaw. I do appreciate your analysis. Thank you for the excellent question!